Speedtest.net is the must-have app if you’re curious about data speeds on your Windows Phone. Based off of the site of the same name, the official app finally came to Windows Phone 8 in January and quickly received a bug fix shortly thereafter. Version 1.1 is now live in the Store and it brings two new tings to the table, including a fix to a bug that “caused cell network tests to be seen as Wi-Fi tests”. That’s certainly useful and good to know. The other feature is the ability to remove ads permanently from the app—something we always prefer to have the option to do. Speedtest.net does it in an interesting way: in-app purchase. Simply hop to the About and scroll down until you see “Upgrade”. There you will be prompted to fork over a fair $0.99 to Ookla to get rid of those pesky ads, forever. In case you’re wondering, such a technique does carry over to multiple devices. Just like previous app purchases, at first it won’t recognize that you have removed the ads on the newer phone, so you must hit “Upgrade” again. But upon doing so, you’ll be told you’ve already purchased that feature and “installing” it means a simple unlock. A pretty cool update and necessary if you want to measure your cell or Wi-Fi network speed. 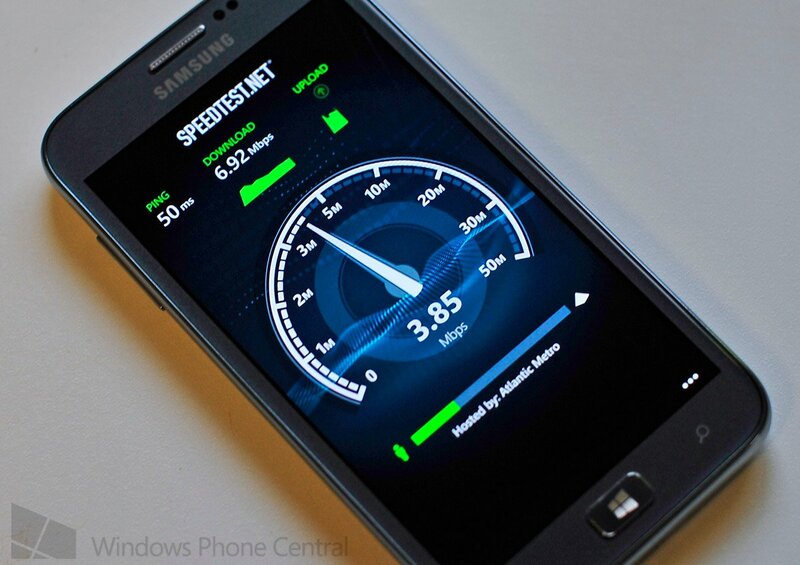 Pick up Speedtest.net here in the Windows Phone Store. Windows Phone 8 only. Thanks, afgzee, for the tip!